This post may contain referral links, which means I may receive a small credit, at no cost to you, if you make a purchase through a link. All opinions remain my own. We all get stressed out, and as moms, we are stressed a lot, and quite often. For some of us, stress can show itself all over our faces. Unfortunately for me, I did not leave sensitive and blemish/pimple prone skin in my early teens. It followed me into adulthood. I want to share with you the ways a lemon skincare routine can help your skin look better and feel better. It just might be the game-changer you have been looking for. I have tried lots of different treatments on my skin, but so far, none I can say truly works. I really don’t like wearing a lot of make-up and I am more of an all natural products kind of girl, but I, like most people, don’t like going out in public looking completely busted. You want to go out looking good. Confident. Well, thanks to Pinterest, Google, and YouTube tutorials, I was about to find everything I ever needed to know about DIY beauty products and routines. By the time I got to video #50, I realised that a lot of these people were not skincare experts, and also didn’t know much about the different types of skin types and tones (not hating). So I searched instead for videos and reviews from aestheticians. And ah yes, just the knowledge and information about skincare I was looking for. You can adopt a daily lemon skincare routine, but you really should know how. One of the most popular DIY skincare trends I came across is using pure lemon juice on your skin. NO – NO – NO! What did I say? A big no-no! Using pure lemon juice can cause some serious damage to your skin. I love lemonade, lemon and soda, lemon mint and ice water but not lemon juice directly on my skin. Always be mindful of what you put on your skin. Lemons are a great source of calcium, vitamin C, magnesium and potassium, as well as minerals and antioxidants that improve the appearance and condition of our hair, skin and nails. So what’s the problem you say? It is true that lemon juice contains properties that are seemingly great for your skin, including alpha hydroxy acid. What’s that? Alpha hydroxy acid can remove dull skin cells and generate new ones, working as an exfoliant. Also, Vitamin C and citric acid in lemons also work together to lighten skin. Since lemon juice is highly acidic, with a PH of 2 which causes skin irritation, hyper-pigmentation and high sensitivity to the sun. Pure lemon juice can also cause a chemical burn! Some people keep lemon on their skin overnight. It’s a bit of an overkill – go for Aloe Vera instead. Honey can be utilized for so many things as it has natural antioxidant, antibacterial, and antiseptic properties which can stimulate your skin. When you use lemon in your skincare routine, along with other healthy products like honey, it helps to hydrate and tighten the skin pores to prevent future blackheads. Lemon has vitamin C and bleaching property that helps to clear the blackheads effectively on the skin. This combination will save you lots of money by avoiding monthly facials aren’t in your budget. Honey and lemon are two extremely common household ingredients, making them two absolute must-haves for clear, glowing skin! Before you start, remember some skins types are sensitive to lemon juice so always do a patch test on another area of your body. Do a small patch test on your legs, wrists, or the inside of your elbow 24 hours before applying lemon juice to the face. Avoid sun exposure after the application of lemon juice, and always wear sunscreen. A long-time friend of mine shyly asked me once, “Sheri, do people with your skin tone need sunscreen?” – I answered “Hell ya girl! – and just in case you’re asking yourself this question, the answer is yes, black people can and do get sunburned.” LOL – I don’t use any cream lower than SPF 50. An innocent question but one that many may think, but not say out loud. Although the melanin in our skin does give us some protection, we are not free of the power of the sun. People with dark skin may not sunburn as easily as those with fair skin, but they are all at risk of skin damage from excessive sun exposure. Damaging UV rays can penetrate all types of skin, regardless of your ethnicity. This is one of the reasons why when you should never go out in the sun immediately after a lemon skincare routine. Let me show you how to make great DIY lemon face masks, protect your skin, and leave it better than before. Peel a cucumber completely and slice off both ends. Cut the cucumber into small pieces, sliced or square. Make them small enough to fit into a blender. Blend for 30 seconds. Removed the cucumber paste from the blender and place n a bowl. Add one teaspoon of lemon juice (fresh lemon, not the one in a bottle) and ½ teaspoon of turmeric powder. Mix the ingredients well and evenly apply over the face. I like to use a foundation brush to apply it. Leave it on for 15 -20 minutes. Wash off with lukewarm water, then splash a bit of cold water on your face to seal your pores. The first week, use every other day, then use daily for best results. This mask is super fast and easy. All you need to do is squeeze out the lemon juice from half a lemon and mix it with one tablespoon of organic honey. Mix it well to create a paste and apply to the face. Leave on for 20 minutes, wash with warm water, then with cold water. Pat your face dry with a towel. Milk contains alpha-hydroxy acids that promote dead cell removal. Again, when you combine ingredients you already have in your home with lemons in your skincare routine, you are following an inexpensive, healthy route. For this make, take 2 tablespoons of whole milk, 2 teaspoons of lemon juice and mix together. It is best to leave this to stand at room temperature for four to six hours. You can leave it to stand for longer. If you are on the go, make this in the morning before leaving the house, and use if when you are back home in the evening. The fresh curd should be applied to your face and left on for 15 minutes. Wash off with cold water only. Only Have 5 Minutes To Spare? We are all busy and have things to do before leaving the house in the morning. Add this quick recipe to your list to ensure a productive morning and wonderful skin. Dip ½ a freshly cut lemon into warm organic honey (NOT HOT). Gently scrub the affected areas with the honey-covered lemon for a few minutes. Wash off with cold water. This is another easy way to implement a lemon skincare routine. Blend well together and apply to face rubbing gently in a circular motion. Leave on for ten minutes then wash off. The video below will show you to easily incorporate lemons in your daily beauty treatment. How To: DIY Sugar Scrub from The Foothill Dragon Press on Vimeo. 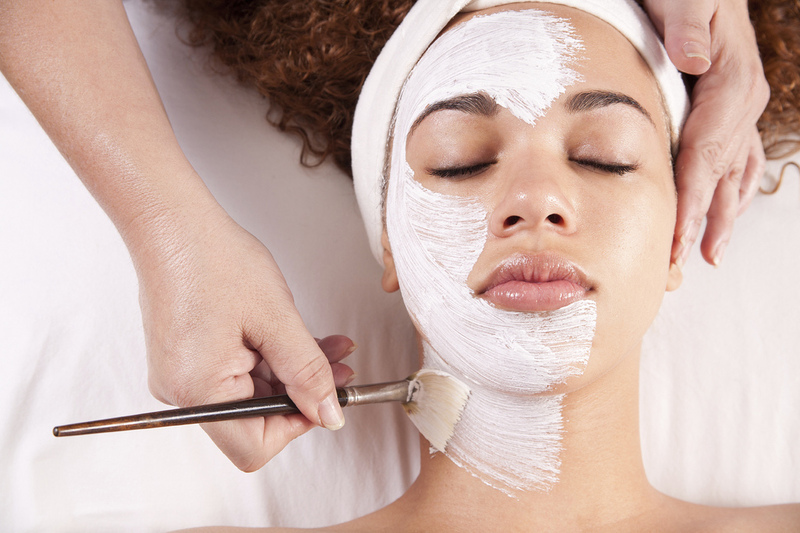 It is essential that you do not turn to any harsh chemicals or unsafe treatments to treat your skin. Don’t believe everything you see on YouTube. Always do your research first. After all, it is your skin, right? Never expose the skin to the bright sun after applying lemon on it. Always use fresh lemon juice because the concentration of Vitamin C in lemon reduces with time. Proper hydration is essential for skin health, therefore you should drink lots of water and eat a healthy diet. Green Angel is passionate about natural skincare remedies based on the fusion of two ancient therapies – Thalassotherapy and Aromatherapy. Lemons are fantastic. They are great in our drinks and food. Now you can use lemon in your skincare routine either daily or weekly. Lemons can be simply integrated into your daily routine by starting your day with a glass of lemon water to wake up your digestive system and increase your energy. It will also help flush out toxins and hydrate your body. There are multiple ways you can use lemon juice for skin and health benefits. Have you tried a lemon skincare routine? How has it helped you? Will you be doing so now that you know the benefits? Share with me in the comments section below. Hi. I'm Sheri. I provide tools to help women live an intentional and purpose-driven life by practising self-help, self-love, and productivity. I share work-life balance tips, transformations techniques, and information and exercises for practising mindfulness. Daily habits that will help transform, you to a better YOU. I have used lemon and honey mixture. It is such a great combinations which lightens the skin tone and make it smooth, glowing. This post is so informative! I really want to try the lemon and honey mask (also the scrub). I am pretty sensitive to Vitamin C, unfortunately but maybe the honey will help. I’ll have to do the test for sure, if I decide to go for it! I love the smell of lemons and honey so these DIY natural skincare options sounds amazing! I think I’m going to try the lemon and milk mask tomorrow. Honey and lemon juice mask is something I use every week and it does cleanses and softens my skin. Aloevera is a great substitute for skin if used regularly. you’ve convinced me, i need to start using lemon and honey! You will see a big difference soon! I love the idea of using fresh ingredients on my skin, you know its going to be good for you! Love this, I have done a few DIY skincare things for myself. My favourite is homemade lip scrub! But with my pregnancy skin the way it is at the moment, I think lemon could help me out a bit. But I can not use lemon as acne problem or what you say? Would I use it regularly? It can cure my acne? Hi Ellie, I would say for acne there are other things you can use. One is honey. Honey is not harsh and will help you treat acne. You cause aloe vera, honey and cinnamon to treat acne. After your acne clears, you can use lemon for the acne scars. Great article indeed. I totally agree when you say that Lemon is good for skin care. I also use Lemon in for my skin. Lemons are good for so many things aren’t they! Wonderous little things they are. Lemons are amazing from the inside and out! Love that mask and sugar scrub. It’s amazing how much you can do with a tiny lemon! I’m seeing a lot of recommendations for lemon skincare at the moment, but this is probably the most informative post I’ve read. I’m so glad that you advise people not to put neat lemon juice on their skin – that just sounds like it would be incredibly harsh! I am going to try this to get rid of blackheads. NOTHING I do takes them away! Many of the people that do these tutorials do not have much knowledge of how lemon works or what it does. The first thing that came into my head when I read your title was – there’s acid in lemon. As you mentioned this is’t good to be used neat on the skin. I prefer aloe myself it’s wonderful. I loved this article. I’m a big believer in DIY natural skincare and often use therapeutic essential oils in my skincare routine, but never have used lemon for anything other than lightening my hair in the summer.